Living less than two hours from the French border wasn’t part of the plan when Jessica Jahn graduated with a Criminal Justice degree this spring. Now she’s moving on after accepting an internship with the United Nations Interregional Crime and Justice Research Institute – designing and implementing projects related to crime, security, and justice. She hopes to expand her understanding of cyber crimes and the risks and benefits of artificial intelligence (AI). Before joining Student Life, Jahn spent time during her undergraduate studies with the Centre for Safe Schools and Communities and Centre for Public Safety and Criminal Justice Research. She worked under associate professor Annette Vogt and associate professor Yvon Dandurand, who encouraged her to apply to the UN internship. 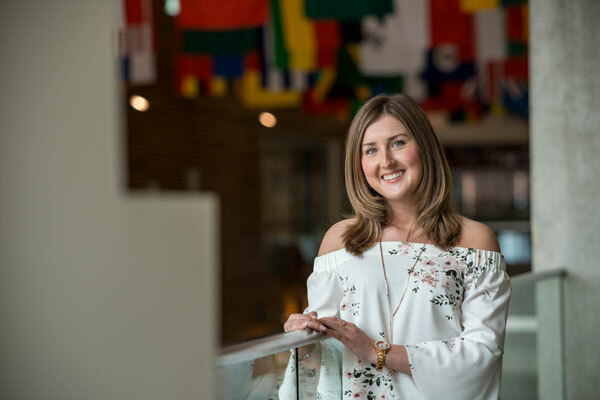 She is the recipient of three awards that support and reward the academic achievement of criminology students at UFV: The Brantingham Endowment Scholarship in Criminal Justice Research, The Dr. H.A. Bassford Endowment Scholarship, and the Lori Moren Endowment Scholarship. 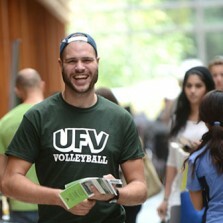 Jahn’s work with UFV was exceptional, notes Jody Gor­don, Vice President, Students and Enrolment Management. The two worked closely together in creating UFV’s new government-mandated sexualized violence policy. “She’s a remarkable young woman,” Gordon says. Jahn isn’t one to chase the spotlight and was hesitant having her internship publicized, but embraced the chance after recognizing her story could help future students. “At first, it was difficult to pass on offers from larger universities,” Jahn recalls.